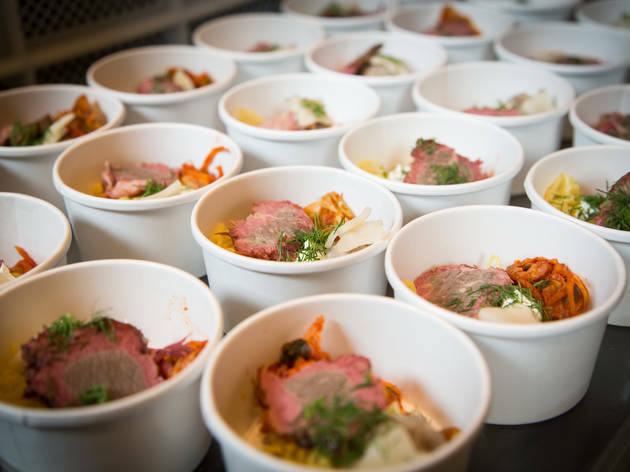 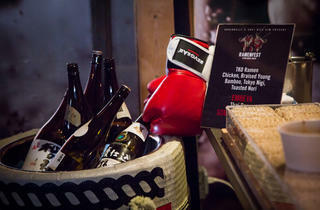 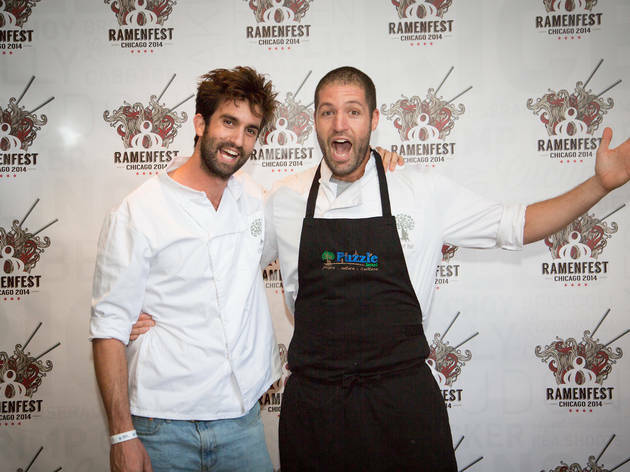 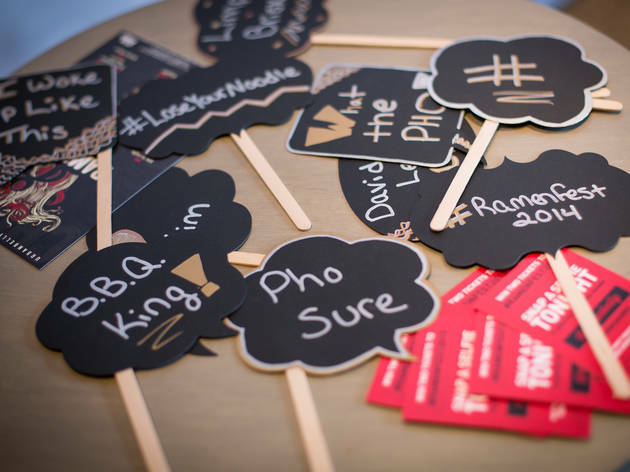 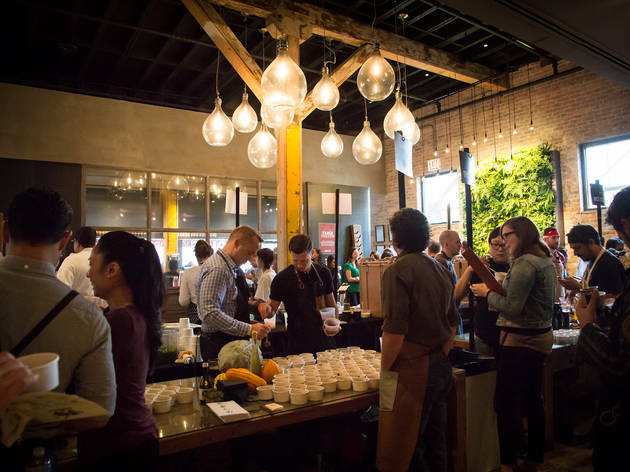 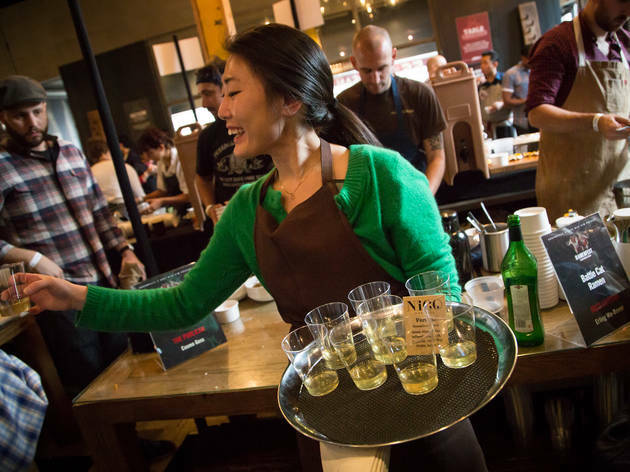 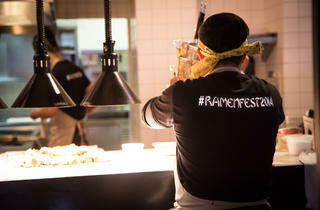 Photograph: Tricia ScullyChicago chefs battle it out at the inaugural Ramenfest at bellyQ, November 8, 2014. 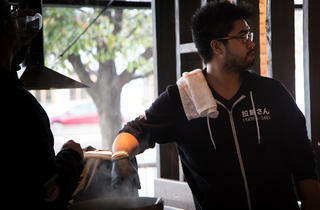 This has been the year of ramen in Chicago. 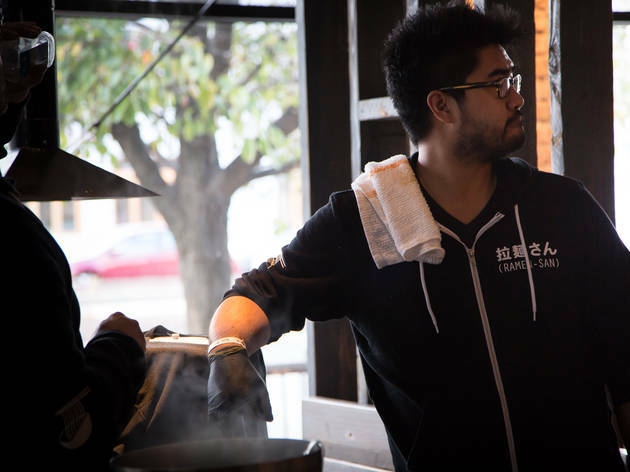 As we predicted in April, the noodle soup reached critical mass in Chicago in 2014. 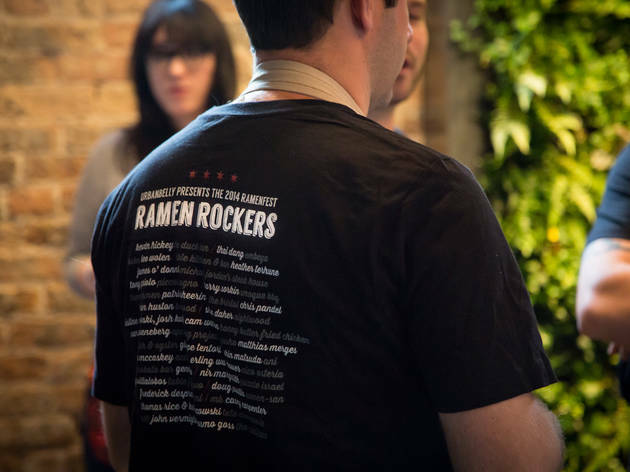 After ages of oddly slim slurping options in town (compared to other cities, like Momofuku-rich NYC), Chicago now has a bundle of new ramen restaurants, like Lettuce Entertain You's Ramen-San and Hogsalt's High Five Ramen. 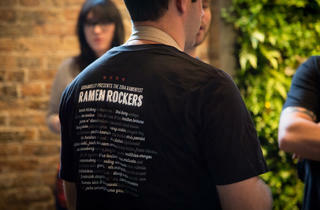 (See which won our ramen taste test.) 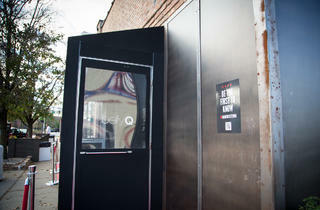 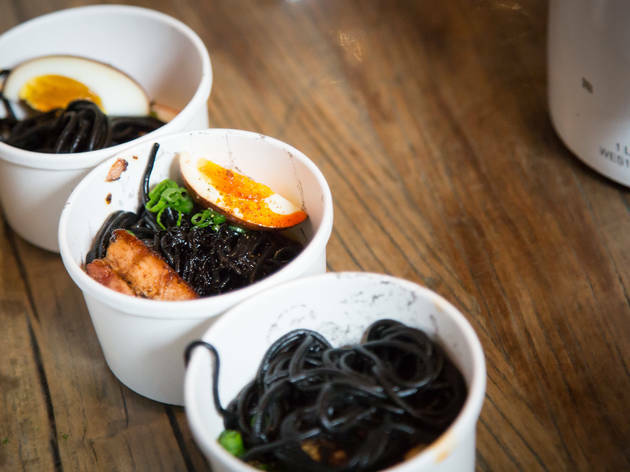 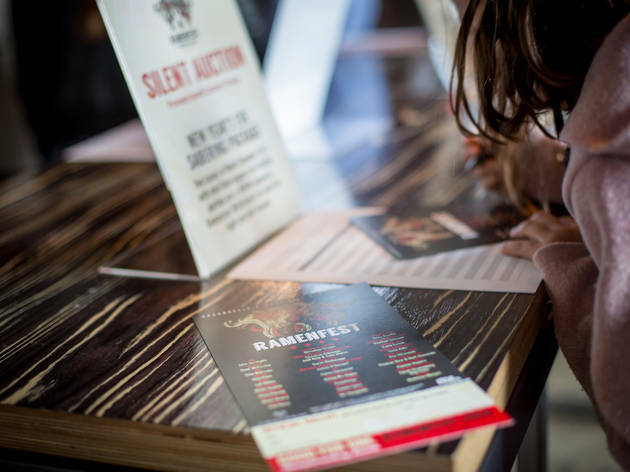 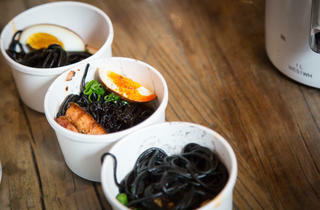 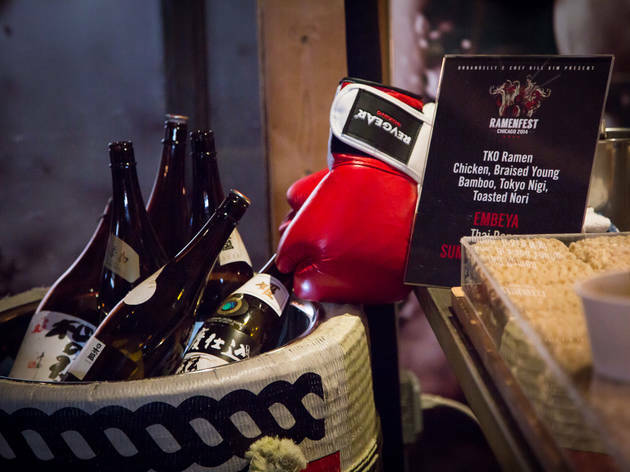 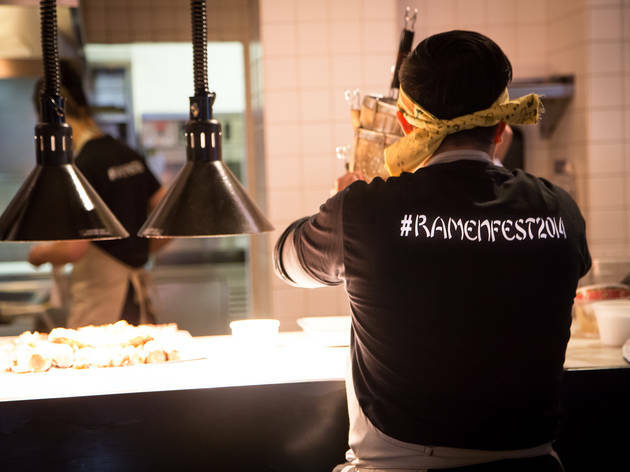 Yusho hosts regular ramen battles. 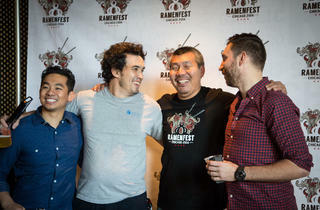 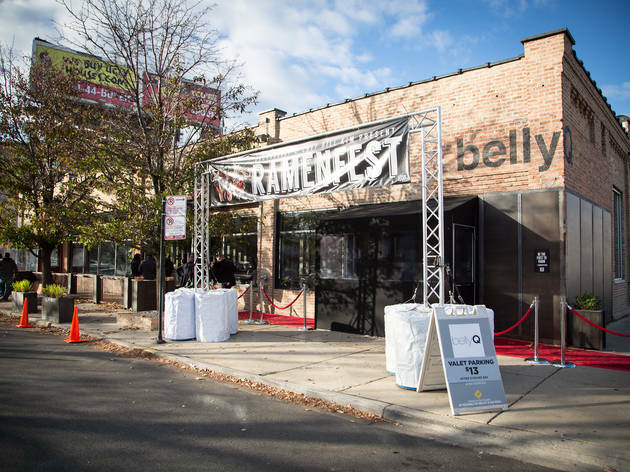 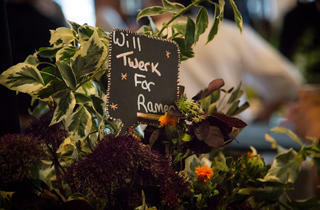 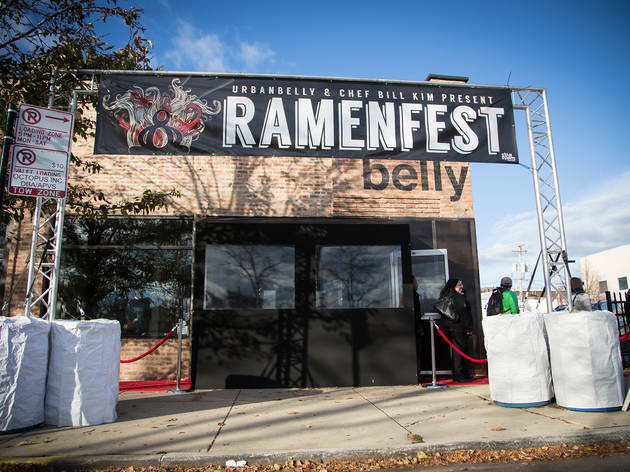 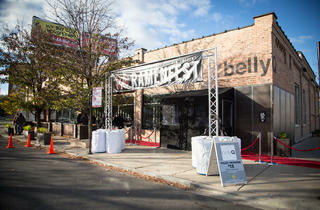 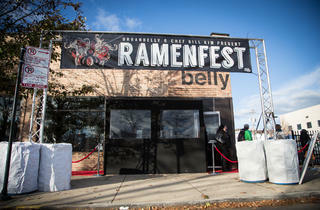 The spirit of the latter has blossomed into all-out ramen war at Chicago's inaugural Ramenfest, coordinated by Bill Kim at his bellyQ. 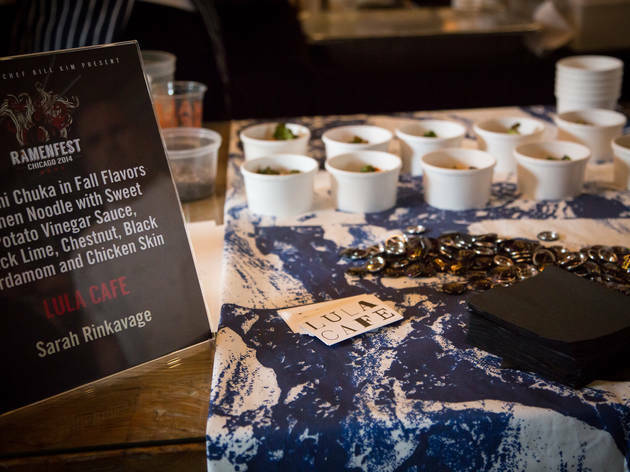 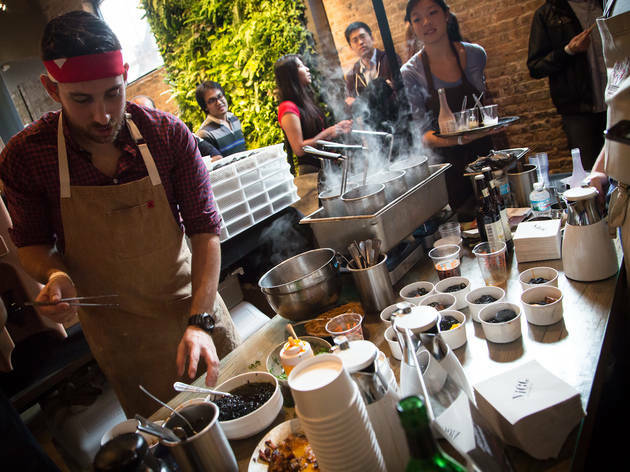 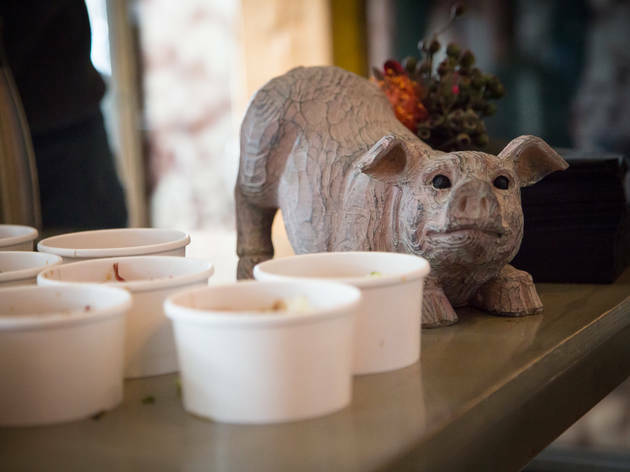 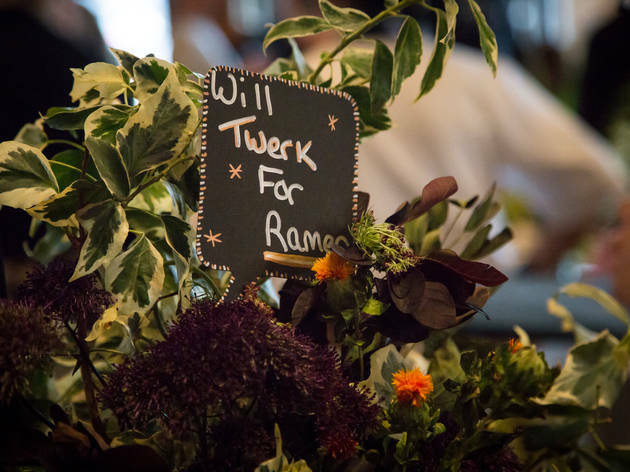 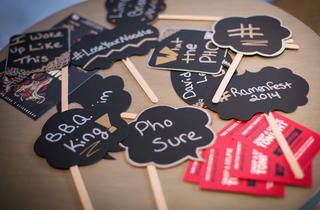 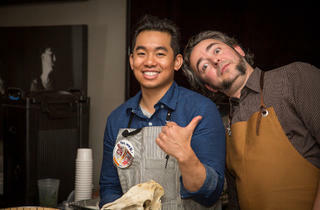 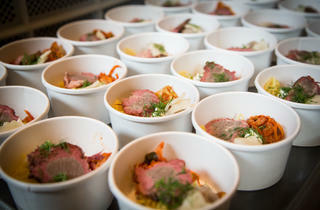 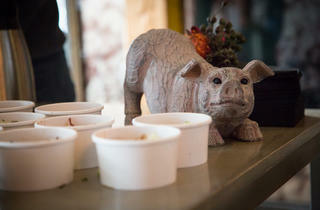 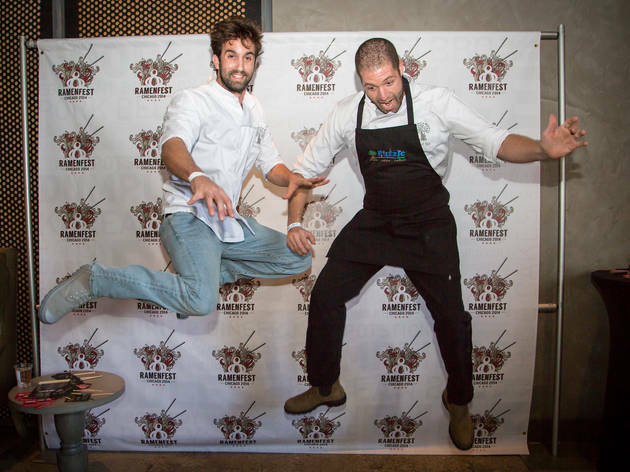 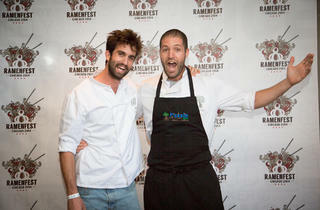 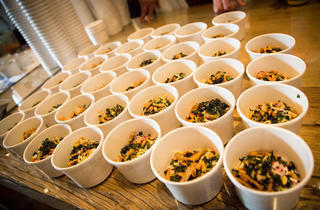 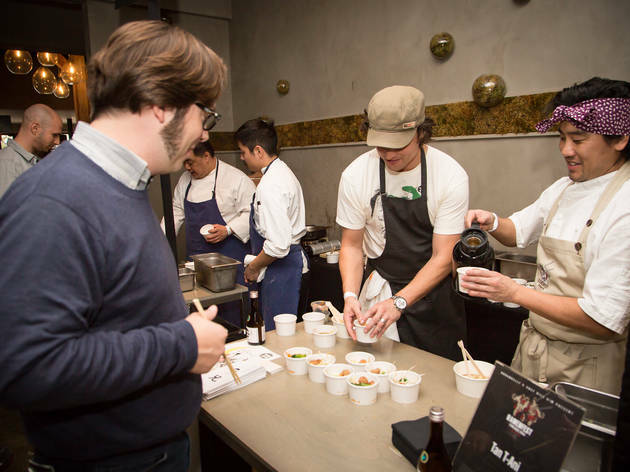 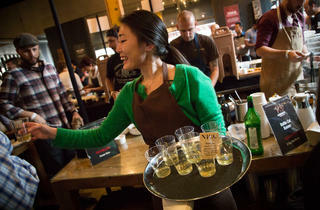 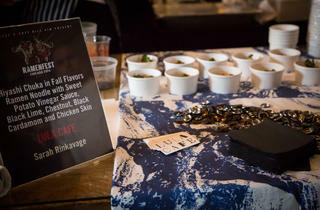 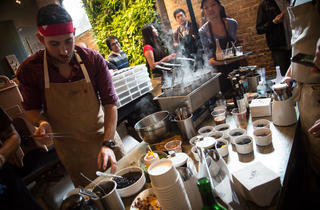 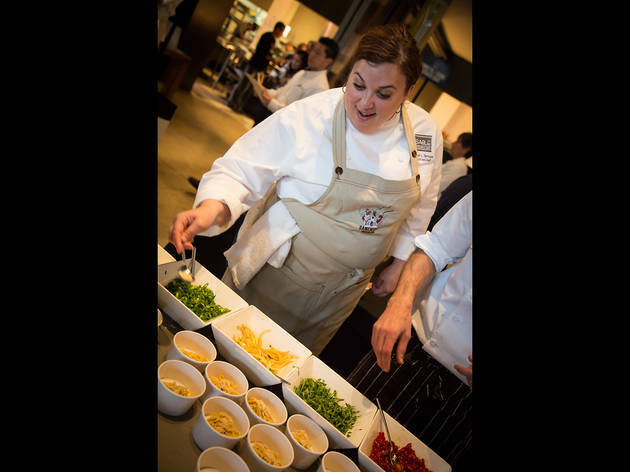 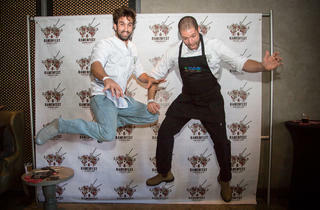 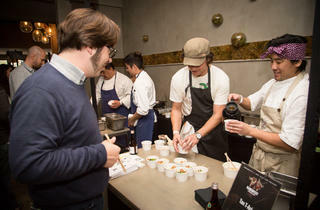 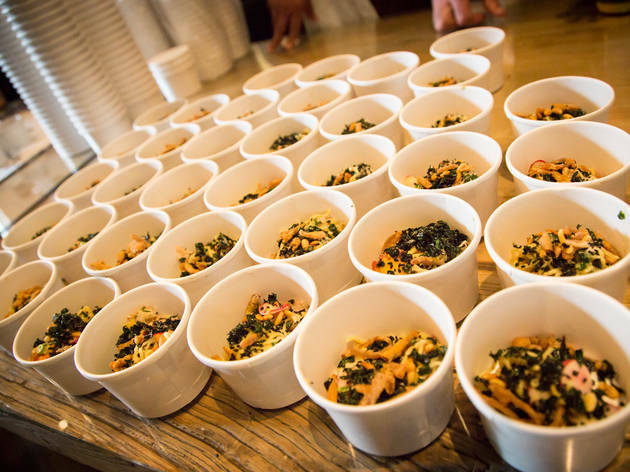 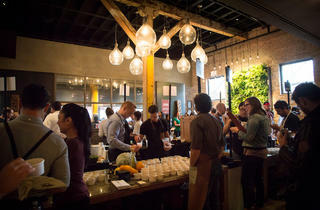 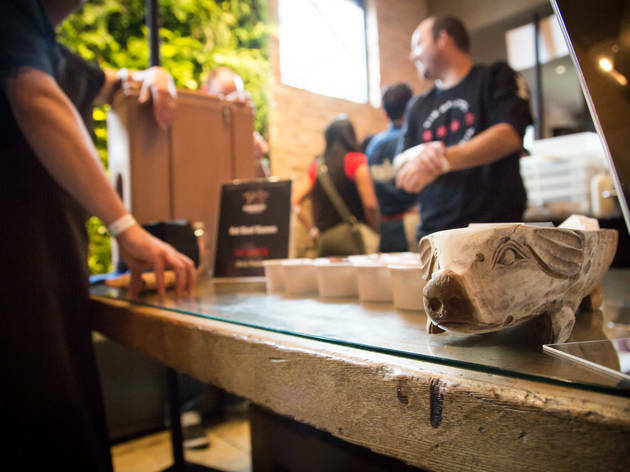 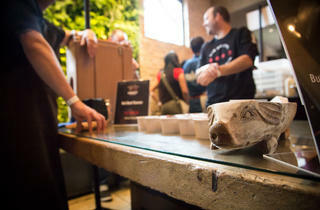 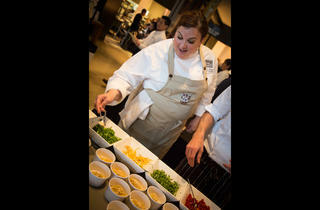 On Saturday, November 8, chefs from 27 restaurants gathered to see who could whip of the best bowl. 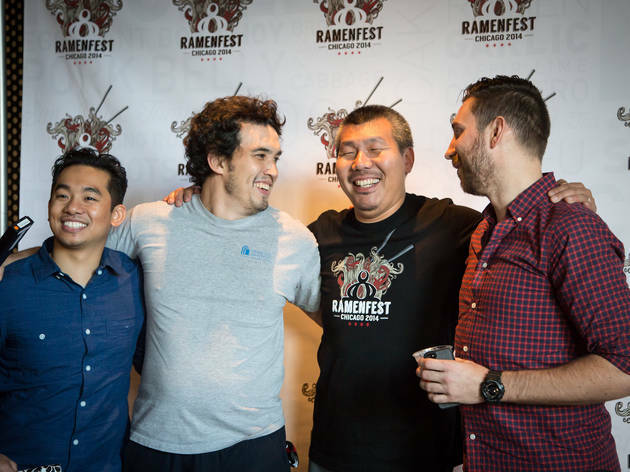 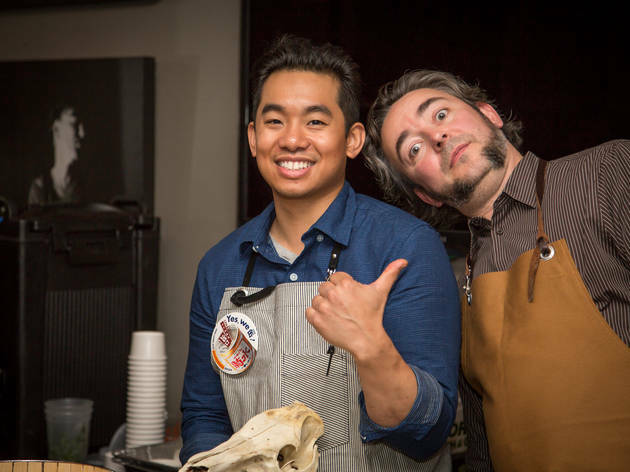 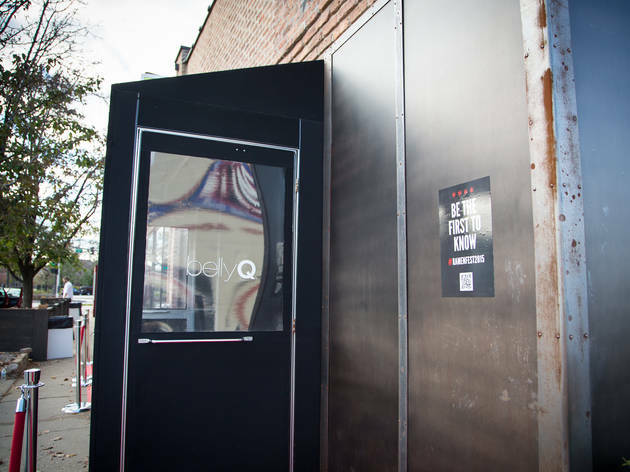 While Matthias Merges of Yusho and Doug Psaltis of Ramen-San were in the game, most contestants came from restaurants not exactly versed in Japanese cuisine—favorite spots like A10, Nico Osteria, Tete Charcuterie and GT Fish & Oyster. 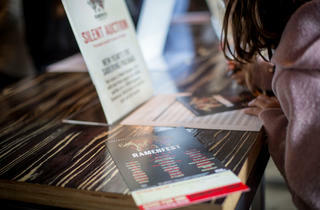 Some proceeds went towards Common Threads.